Quanah Parker stands guard at the corner of Warren and Morgan Streets. Plastered against a rusting metal rectangle on an old warehouse, the image stands between Jersey City’s industrial past and its luxury building future. To the right, the Native American Comanche Chief looks out on parking lots for commuters. 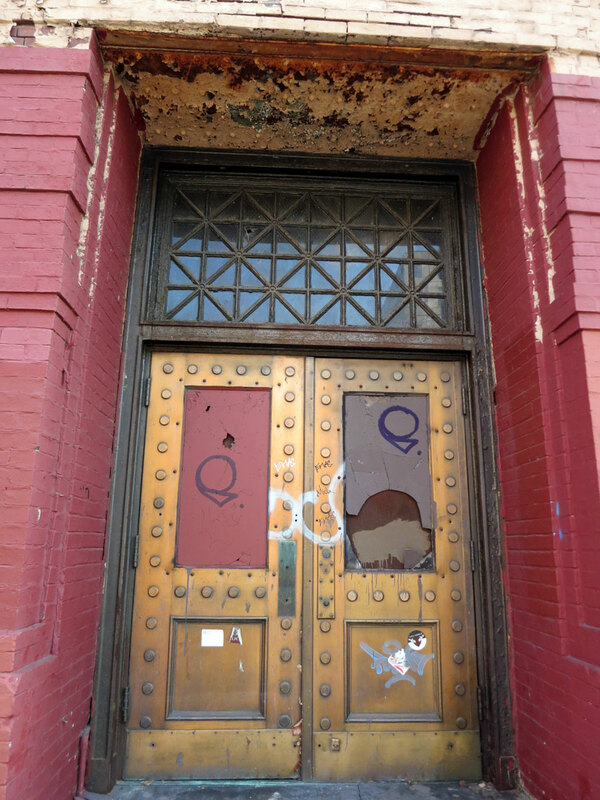 Directly in front, beautiful, old gold doors beckon passersby into the Morgan Industrial Building. 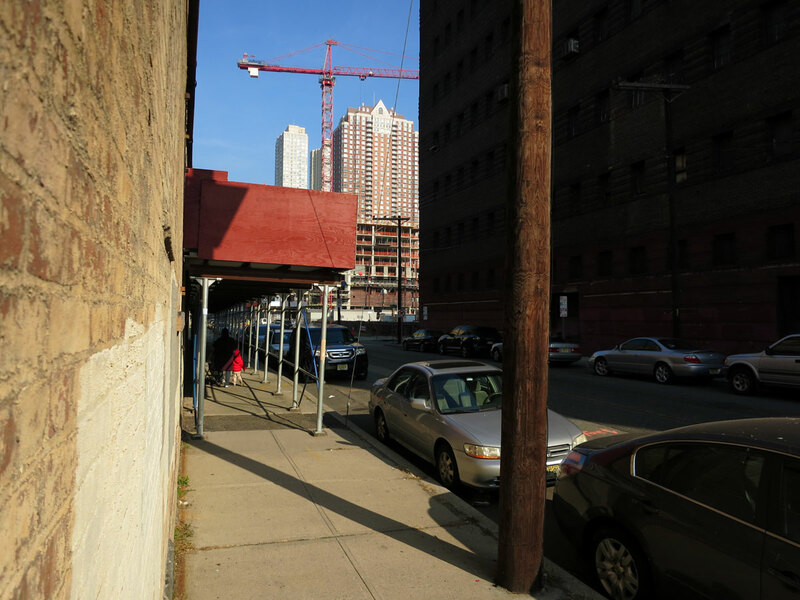 To the left Parker sees an empty, grassy lot and beyond that a luxury building rises. If you walked in the other direction on Warren, toward the Morris Canal, you’d come across another luxury rental building under construction. Whether you walk north or south, east or west, luxury apartment buildings are going up in every direction. 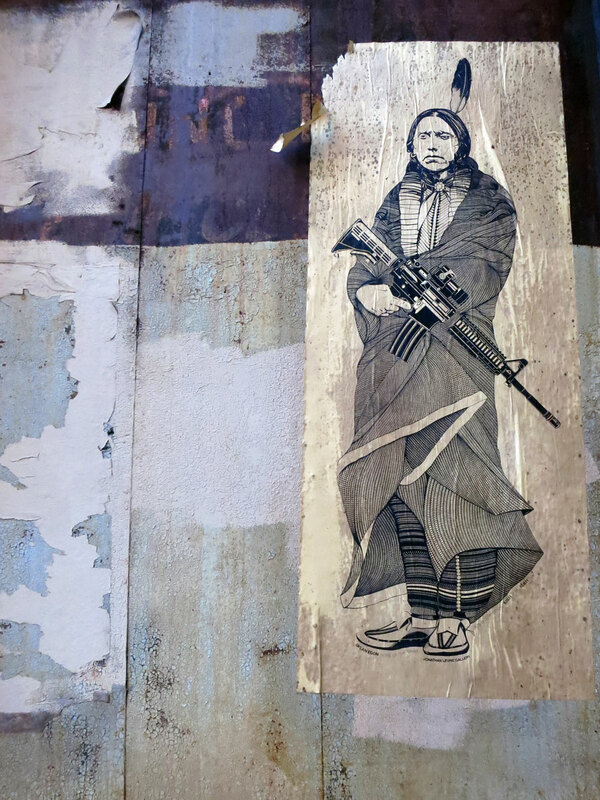 The Native American Comanche piece, which is by local artist Dylan Egon, appeared at the Jonathan LeVine Gallery in 2011 as part of the exhibition, “Home of the Brave.” The image portrays Quanah Parker, one of the last Comanche chiefs, holding a machine gun rifle. Parker was the son of European American Cynthia Ann Parker and Comanche chief Peta Nocona. He marked a transition for his people and served as a bridge between their past and future. After fighting many battles, including one where he was hit by a bullet from a long range Sharps rifle, Parker surrendered and settled the Comanches on a reservation. In the peeling, wrinkled weather worn image, Parker defiantly holds the machine gun rifle with his finger on the trigger. With one arm inside his wrapped garb, he does not appear aggressive, but rather resolute and ready. Ready for the transformation that’s before him as the old urban landscape peels away. Ready as the old warehouses crumble, lands shift hands, and rents go on the rise. A luxury rental building rises in the distance. Doors that lead into the Morgan Industrial Building in Jersey City. I’ve been in this spot so many times and never noticed him, thanks for bringing it to my attention. I took a nice stroll over this evening. Thanks for sharing! He kind of magically appears.